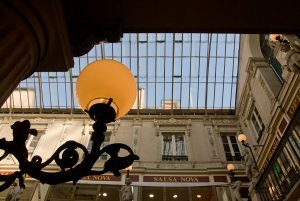 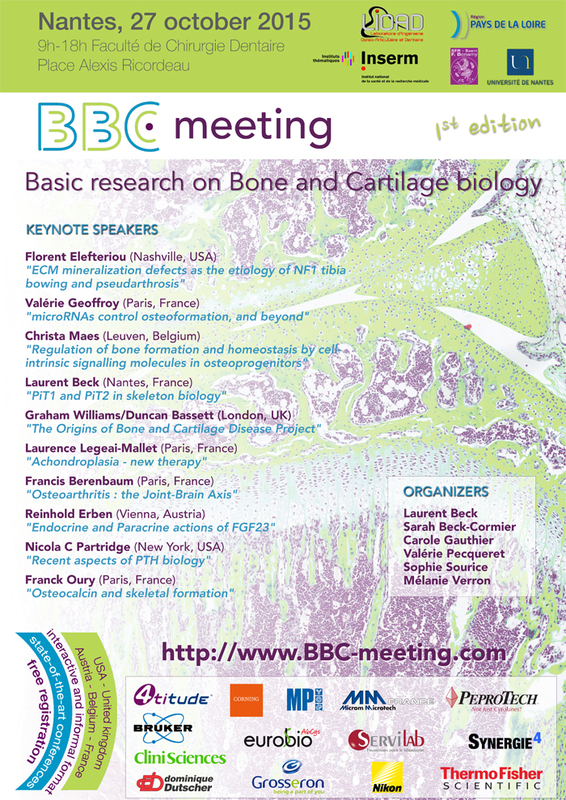 The very first edition of the BBC meeting was held in Nantes in October 2015. 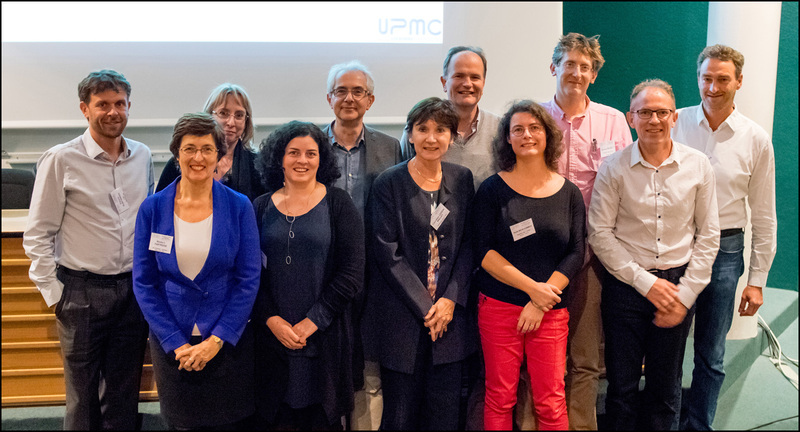 This was a one-day format meeting gathering international researchers in the field of bone and cartilage with the aim to foster scientific exchanges. 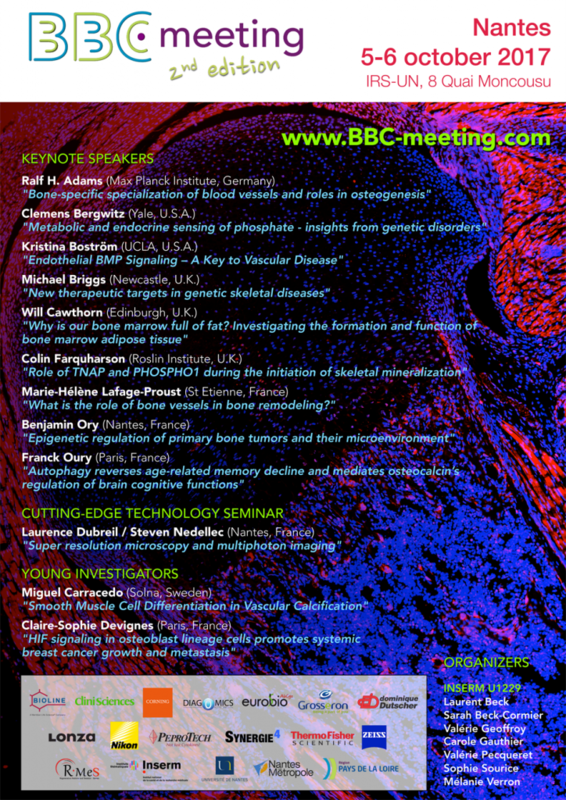 The success of this day led us to launch a second edition of BBC, featuring a one and a half day format, 2 additional conferences given by confirmed PhD students/post-doctoral fellows selected from submitted abstracts, and a cutting-edge technology seminar.